While everyone knows that you aren’t supposed to drink and drive, everyone also knows that sometimes things happen. Perhaps you only had a few drinks. Perhaps you didn’t think you were intoxicated when you got behind the wheel and were surprised that your blood alcohol concentration (BAC) was over the legal limit of .08 following a police stop and breathalyzer test. Unfortunately, regardless of your intentions, a Maplewood, NJ DWI conviction will cost you your license, thousands of dollars in fines, fees and surcharges and possibly some jail time as well. While there may be some viable legal defense strategies available, you will need the trained eye of an experienced DWI defense attorney who can explore your drunk driving case and find the best possible solutions. At The Tormey Law Firm, you will find a team of highly skilled DUI defense lawyers who regularly fight for clients in Maplewood Municipal Court. Our extensive training and credentials in the realm of New Jersey drunk driving standards and procedures means we are poised to identify the holes in the State’s case that give us the edge we need for a dismissal. If you have been charged with DWI in Maplewood, New Jersey, we invite you to contact us at (201)-654-3464 to begin the process of building your best defense. Maplewood is a small yet highly traveled suburban community located in Essex County. Its shared borders with Newark, South Orange and West Orange combined with the popularity of its downtown “Village” and close proximity to NYC have made it a favorite of visitors throughout the state. Some of its most major roads where DWI’s are most likely to occur include South Orange Ave., Millburn Ave., Springfield Ave., Irvington Ave., Valley St. and Wyoming Ave.
Maplewood also shares a school district with South Orange, which includes one of the state’s largest high schools, Columbia High School. 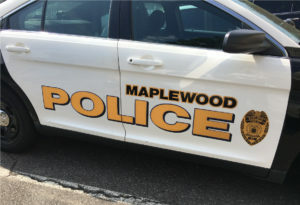 In total, the school district has nine different schools spread out over six square miles, meaning that with any Maplewood DWI chare, there is a strong possibility of it happening within 1,000 feet of a school or in a school zone. Under N.J.S.A. 39:4-50(a), any person convicted of operating a motor vehicle while under the influence of liquor will be sentenced to a three-month license suspension and a fine of up to $400 (if it is a first offense), in addition to various other fees and surcharges. A person convicted of a DWI who was under the influence of drugs or had a BAC of .10 or above will face a minimum seven-month license revocation and a maximum $500 fine. Individuals who have prior DWI convictions are subject to higher fines, longer incarcerations and extended license revocations. You could also be charged with a DWI in Maplewood if you allow a person who you know is intoxicated to operate your vehicle. 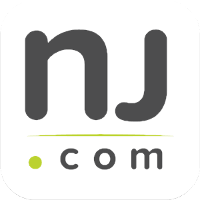 It is against New Jersey law for a prosecutor to offer or accept a plea bargain in DWI cases. However, your DWI charge may be dismissed if your defense attorney identifies some weaknesses in the prosecution’s case that may provide an impetus for them to drop the charges. But this result is highly unlikely to occur unless you work with a skilled and dedicated defense lawyer who understands how to find and exploit errors in police protocol, issues with the Alcotest machine, lack of probable cause for the motor vehicle stop, and other effective defense strategies. At The Tormey Law Firm, our Maplewood DWI defense lawyers known much you need your freedom and driving privileges preserved. For information about how we can help you defend your innocence and potentially beat your DWI charges, contact us immediately at (201)-654-3464 or reach out online to arrange a free consultation. You can reach us day or night.